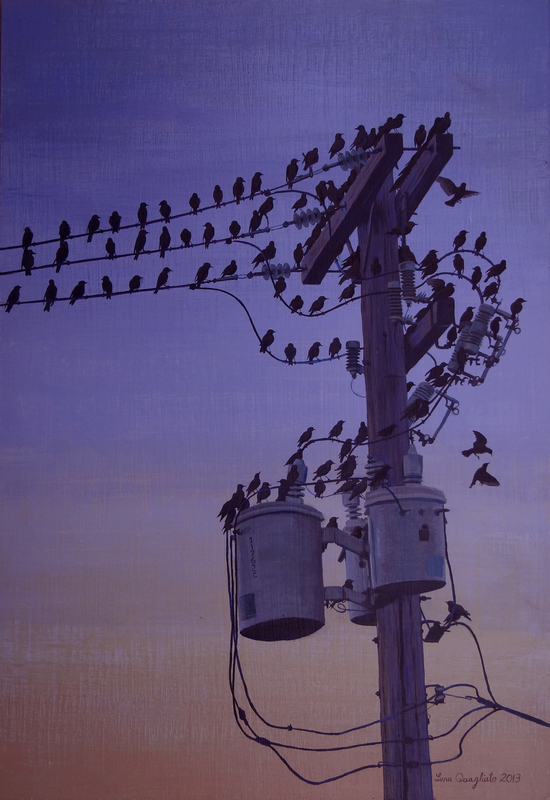 This is my latest painting, finished 11/19/13 I loved the composition that the telephone wires created. I also was fascinated with the numerous birds that were perched on every surface. The original is 11×16, making each bird aprox 1/2″ but I attempted to make each one individual and pack on as much detail as I could.